The outdoor area of your home is a wonderful place to relax, entertain, and enjoy as an extension of your general living space. Most outdoor areas have some kind of outdoor decking, tiles, and/or pavers, and if you follow these tips to keep them clean, you’ll be rewarded with an outdoor space that is always welcoming and attractive. It’s worth considering sealing your wooden deck to guarantee it remains waterproof and attractive, while ensuring its lifespan is prolonged. 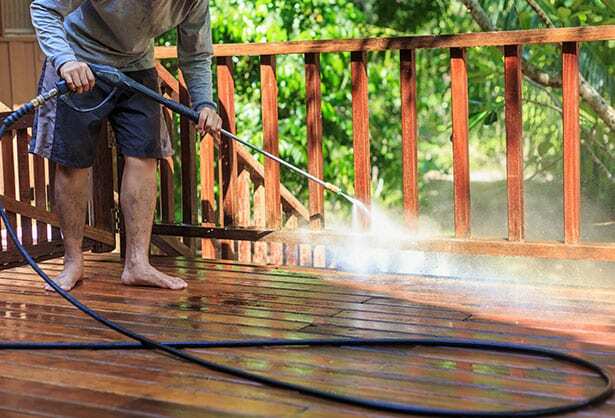 An added benefit for you is that a well sealed deck usually only requires cleaning twice a year. Sealing your pavers after they are dry will protect them and ensure they remain good as new, with less regular cleaning required. Most outdoor tiles have been sealed to protect them from rain and intense sunlight, and it is therefore important to choose the right cleaner to ensure the protective coating is not damaged or removed. Try these easy steps to maintain glistening, clean tiles that enhance your outdoor areas. Finally, simply hose off all the tiles with clean water and use a squeegee mop to remove any standing pools of water that may leave a dull finish if left to dry naturally. Once you have cleaned your outdoor areas and allowed them to dry, go ahead and inspect your work. The finished product will look clean and fresh with no areas left unwashed or stained. Well done! Your deck, pavers, or tiled areas are renewed, revitalised, and ready to enhance you and your family’s outdoor living.